Rooftop solar has been assigned a contribution of 40GW out of the total 100GW of installed capacity under the Solar Mission of 2022. While that number may seem daunting right now, we are already seeing efforts being made both by the central government as well as several state governments in this direction. The 500MW and 1000MW SECI tenders are good examples of how the central government has been taking initiatives in order to push the adoption of rooftop solar in 2017. 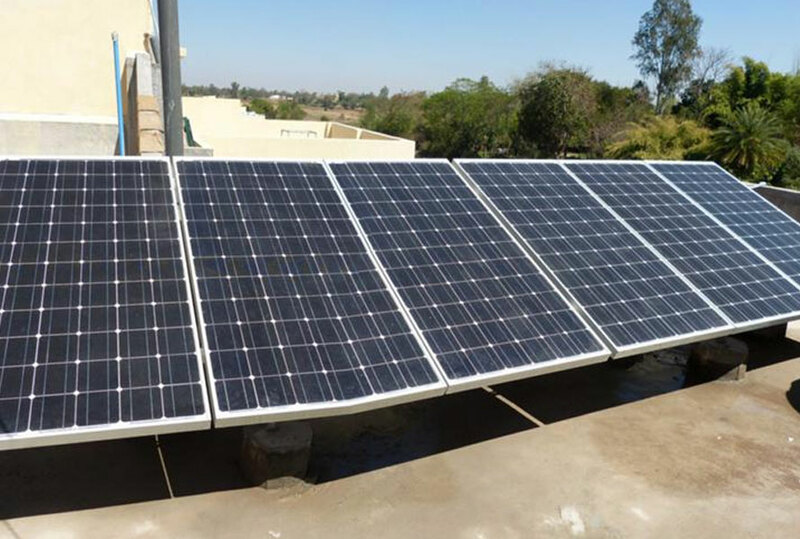 On the other hand, the initiatives taken by CREST for example in Chandigarh or the recent Re 1/unit incentive that Haryana (HAREDA) announced for rooftop solar plants are steps in the right direction. Adding to the list of initiates is the announcement of Karnataka Renewable Energy Development Ltd or KREDL that it plans to install 6,000MW by March 2021, revising the old target of 2300MW grid connected Solar Rooftop PV Systems by 2022 in Karnataka. It was reported as far back as May 2016 that Karnataka was planning to modify its solar policy to achieve the 6000 MW figure. Finally, the change was approved on Tuesday (January 10th, 2017) to help tap the massive 24,700MW solar potential of the state. The current installed capacity stands at 400MW. Overall, the amendments are in tune with the tariff policy announced by MNRE. It has been mandated by KREDL that 40% of the total solar generation must come from rooftops, giving a huge push to the rooftop segment. Solar Energy, in total should constitute 8% of the overall energy consumption. It has been introduced that the generation would be limited to 200MW per taluk from all sources excluding the generation from rooftop projects. This would encourage a more distributed approach in the power generation capacity in the state, where currently the solar projects are more concentrated in and around Bengaluru. The capacity of solar parks has been limited to 100MW at a single location. The state has also announced establishing a solar energy center for excellence in order to promote innovation in R&D in the space. MYSUN believes that this is a very positive step taken by the Karnataka government. The consumer tariffs in Karnataka are already on the higher side. Consumers pay anywhere between Rs 6.9/kWh to Rs 8.35/kWh, and these tariffs increase every year. Whereas with rooftop solar, consumers can lock in a fixed levelised tariff of less than Rs 6/kWh for the next 25 years. As per our research, switching to rooftop and distributed solar, all these consumers not just stand to make huge savings on their electricity bills but they also get a very high Return on Investment (ROI). And the incentives announced by the state government will further help in encouraging consumers to go solar. However, it is equally important that KREDL develops an equally effective implementation roadmap so that these incentives don’t just remain on paper. You can expect the updated policy to be available online at the KREDL website here. Rooftop Solar has been prohibitive in India, solar power has received a new boost in recent years. With rising demands for rooftop solar , the costs have declined rapidly, making it feasible for more people and communities to switch to solar energy. We are India’s leading integrated solar energy solutions company providing innovative solar power solutions for residential and commercial needs. Our team of expert technicians and engineers are driven by the vision of clean energy and a green planet. We are mainly located in Bangalore, Chennai and Kerala.